Noonan: The Trend in Gold Remains Down – But For How Long? If your perception is focused solely on where the price of gold is, as opposed to where you think or believe it ought to be, the elites would like to sell you a renewable subscription to their “Fiat Is Better” newsletter. So says Michael Noonan (edgetraderplus.com) in edited excerpts from his original article* entitled Gold – Disconnect Between Fundamentals And Price. Perception Rules. All of the fundamentals are screaming high demand for and a shortage of physical gold, but price keeps on dropping so why is gold not at a higher price? Because fundamentals are not the answer, rather, it is all about perception and the perception that fundamentals should rule is a misplaced one, at least for now. The COMEX & LBMA Vaults Are Bare! Everyone who is even remotely interested in gold knows that the COMEX and LBMA vaults are just about bare. The COMEX has been nursing a default on physical delivery for gold and silver since last summer. There have been none. Those who stood to take delivery received cash, or rolled forward. This is certainly an acknowledgment that there is no gold or silver, yet that fact has not translated into a stampede of customers demanding gold. Even Deutsche Bank cannot get delivery of their own gold! Gold’s On Sale at 35% Off For a Limited Time Only! Keep focused on your objectives and the reality of events. Right now, people can buy gold coins and bars almost at will. If Deutsche Bank has to wait seven years to get just some of its gold back, and they are not an isolated example, if the vaults are nearly depleted, and you can buy gold coins and gold bars from dealers every day, in light of the whole world recognizing a shortage, everyone should be taking advantage of the disconnect between perceived value and the reality of current prices and buying as much as they can and, for right now, there is a 35% off sale going on! Better a Year Early Than a Day Late! This is lock-and-load, fire at will, and not a time to be keeping one’s powder dry. 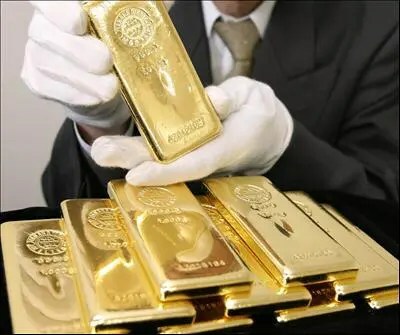 If you know all the available physical gold is being shipped East, primarily to China, and you have immediate access to however many ounces you want to buy, why is there anyconcern over the current price of gold? What happens if you cannot buy at any price?! Better a year early than a day late. The reality is, whatever gold is available is relatively cheap. If you can answer the question, for how much longer will you be able to buy it, then plan accordingly. If you cannot answer that question, then plan accordingly for that event, as well. the COMEX and LBMA pricing mechanism may be, it is all that is available, at least for now. Despite the fact that others who make predictions draws reader attention, we do not make them. For one, no one knows how the future will develop – just review all of the predictions from 2013 for proof. Secondly, there are utterly unnecessary. The market will indicate when the trend has changed, and there will be ample opportunity to be long paper futures, that is, if there is still a paper futures market in the next year. they do not mislead. They can be misread, at times, but overall, the trend is accurate. Will the current $1,200/ozt. area continue to hold? Odds say no, based only on the current down trend, but things can change. However, it is always best to wait for confirmation of a change before acting contrary to the current trend. 9. Noonan: Window of Opportunity to Buy Physical Gold & Silver Narrowing – Don’t Wait, Buy Now! Sudden demand not PM trends will lead the way to new historic high prices for all PM’s, with Silver making greater increases than even Gold. Despite the excellent charts provided above, I believe that it will be a World event, not historic trends will send PM’s “through the roof,” which will send investors scurrying to acquire PM’s at prices that make our current prices a true bargain.